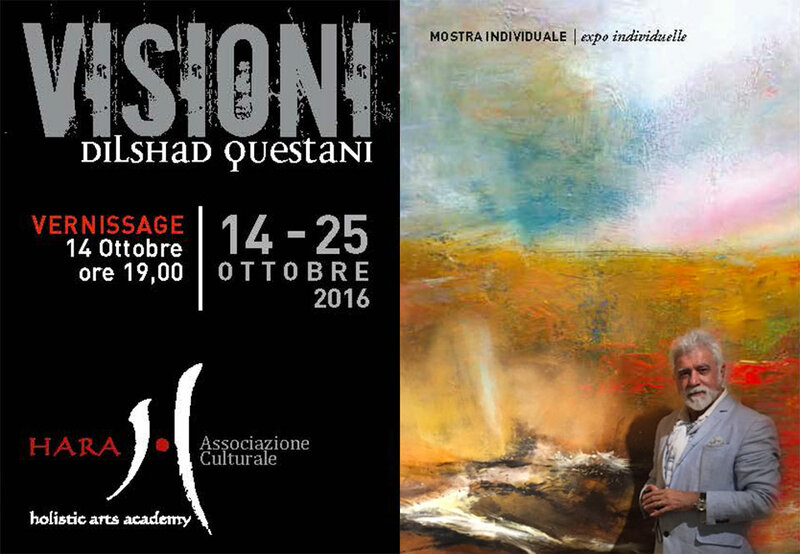 On October 14th , KRG Italy participated at the opening of the exhibition of the Kurdish artist Dilshad Questani, at the Hara Holistic Art Academy Art Gallery, in Rome. Dilshad Questani, internationally recognized painter, born in Iraqi Kurdistan, moved as a child to Suleimanya, artistic and cultural Kurdish city. In 1998 he arrives in France, where he get French citizenship in 2010. His works are exhibited around the world: Greece, Germany, Japan, Korea, Dubai, England, Iraq, and for the first time in Italy. In his works, the artist, expresses the love for his country, speaking on subjects such as politics, women and human stories.